Look in the mirror and gaze into your eyes. What do you see there? Are your eyes bright and shining or are they dull and dim? In fact, while you are there, go ahead and take a picture of your eyes. Did you know that the picture you just took of your eyes can tell you volumes of the state of your health and well-being? As you study this picture, know that people have been doing this for many, many years. This study is called iridology. Iridology (also known as iridoldiagnosis, or iridiagnosis) comes from the word ‘irid’ which means ‘irises’ and the word ‘-ology’ which means ‘study of.’ So the word iridology is the study of the irises. It is the study and interpretation of the patterns, shape colorings and markings of the eye to gain valuable insight into a person’s and vitality. 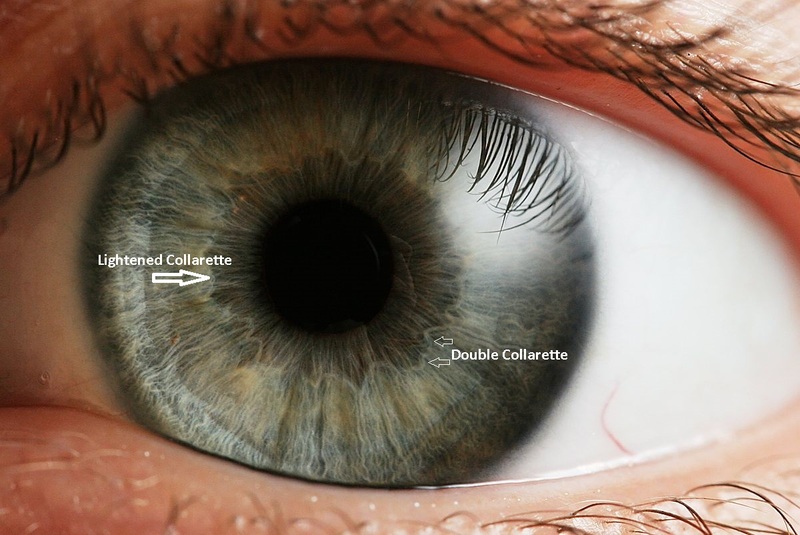 To gain this insight, there are several parts of the eye that are studied including the colored part surrounding the pupil of the eye, markings that reflect changes in the body tissues, and parts of the iris. Those who practice the science of iridology call themselves iridologists. Practitioners can make an iridology diagnoses about not only the current health of the client, but also potential future problems that the client might face. Structures in the iris of the eye can detect stages and locations of inflammation in the body. To ward of future problems, many iridologists suggest and promote preventative measures that include vitamins and herbs. Iridologists believe that since the eyes are the considered the windows of the soul, that you can gain knowledge of what is happening in the body by studying changes in the eye. By studying specific markings in the eyes, iridologists claim to be able to identify important information on the health and well-being of their client, including the strength and weaknesses of vital energy in the body. Some practitioners also believe that they can tell much about a person’s personality and personality traits by studying the eyes. There is a current trend in the industry to push more to the study of, and identification of, personality factors over a more medical approach. In this way, iridologists use information gathered to help their clients make decisions about their life. In many ways, iridology is much like reflexology. In reflexology, points on the hands, feet and ears are associated with the organs and organ systems of the body. When one of these organs or organ systems, are weak or damaged, it shows up in the hands, feet and ear points. In iridology, it is believed that these weak and damaged organs and organ systems will also show up in the eyes. When used correctly, you can identify patterns in the eye to identify general conditions in the body. Another closely related study is called, Sclerology. In Sclerology, a practitioner studies the shape and constitution of blood vessels located on the sclera (white part) of the eye. In order to make their diagnoses, iridologists make use of iris charts where they can match their client observations to documented results. In iris charts, the iris of the eye is divided into zones. Each zone corresponds to a specific part, or parts, of the body. By comparing results, iridologists can distinguish between systems of the body that are active, overactive, inflamed, damaged, distressed, weakened, strong, etc. NOTE: In the United States there is currently no licensing offered to become an Iridologist. If you feel that this is a career path for you, then study hard and offer your services to the public when you feel that you have something to offer to them. Check your own city and state governing boards first. There are three levels of training in this iridology course: Beginner, Intermediate, and Advanced. You will receive a certificate after successful completion of each level of training. Each level is 50 hours in length for a total of 150 hours of information and certification. Each level costs $150. All material will be emailed to you. Everything will be emailed to you one lesson plan at a time for a total of 10 lessons. More than 1,000 pages of information!!! Sorry but the 8" x 11" 204 paged color Course Manual that comes with this course is NOT for sale to the public and can only be purchased with the course itself. You can purchase the black and white 6 x 9 book that I have for sale which will contain some (but not all) of the information that is in the course manual. 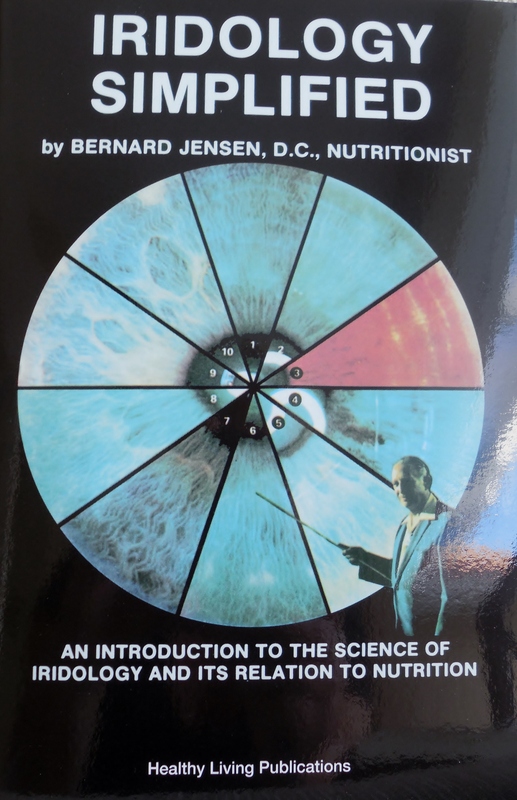 This book contains some of the information that is covered in the Iridology Level One Course but of course, not ALL of it. There are some 1,000 additional pages of information that is given in the course that is not in the book. 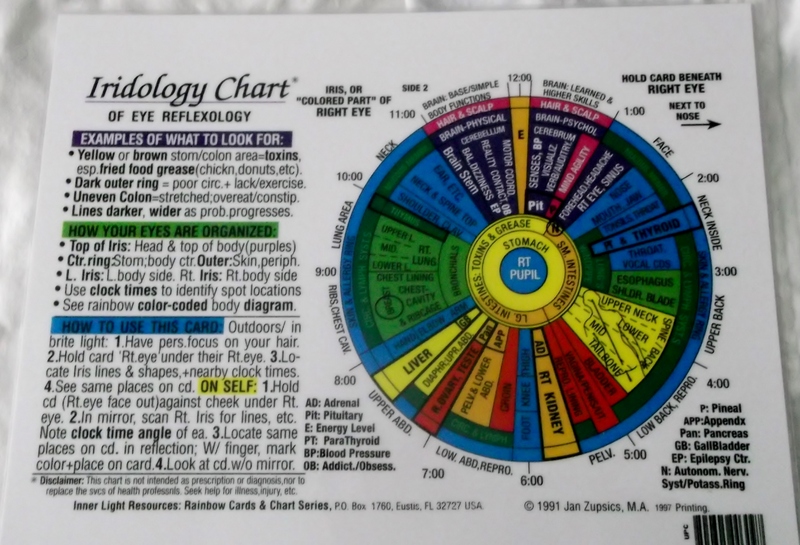 Cost of book in PRINT ($25) + $3.99 media postage in U.S.
Iridology Eye Chart by Jan Zupsics, M.A. Cost: $14.99 plus $4.99 postage in U.S.